Sanibel Island Real Estate, Captiva Island Real Estate - A great property for your Sanibel home! A great property for your Sanibel home! Building on Sanibel could be the answer! 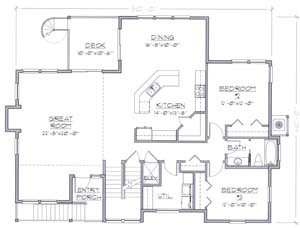 Have you thought about building your own home on Sanibel Island? It's not as difficult as you think, and it comes with lots of benefits. One of the best benefits is that you get the home you want, in the location you want! Some feel that it takes too much time and creates stress, but that's not the case. I've had a home built on Sanibel and the process is worthwhile. Another great benefit is that new homes are much more cost effective when you factor in all the lower operating costs. Energy efficient windows, lower insurance costs, electric cost reductions, and a much easier home to resell when the time comes. 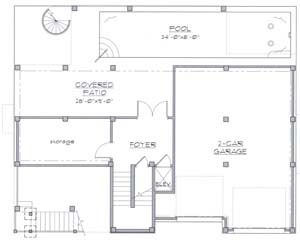 House plan for 644 for Sea Oats! 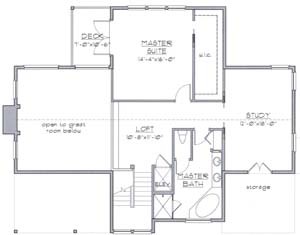 Three bedroom, two bath with pool & elevator! And on that subject, I have a great near-beach property located at 644 Sea Oats Drive that I recently listed. 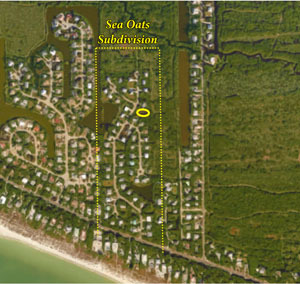 This Sanibel property is owned by myself and my husband and we priced it as the least expensive property in Sea Oats subdivision (by $20,000). This large lot backs up to conservation property and will give you great views of Sanibel's natural environment. This property is just a short walk to your easement to the beach (Sanibel beach access #1). If you want to build a new home I can help you find just the right builder, as well as explain some of the local building codes that must be met. Local builders are up on the latest codes and will also help you understand just what it takes to build on our beautiful island. 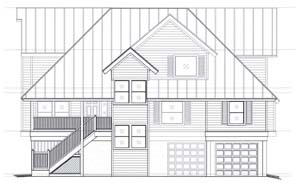 Building your own custom home is an option worth considering! Give me a call today and I can get you started! Make this your year for Sanibel! Three bedroom, two bath with pool & elevator. If you have another area of the island that you like, just let me know and I'll get to work finding you the perfect property. While every year there are fewer vacant properties on Sanibel, I can get you a list of every listed vacant lot and explain the pros and cons of each area. Sanibel has "eco zones" to consider when looking for properties and you need an informed Realtor to give you the right information... that's me! This is a great time of year to search for properties. 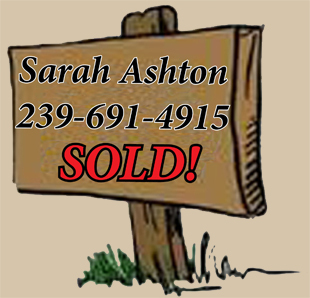 Our weather has been great, and we have a super inventory of properties. Bank rates are still low so this is the time to make your move! Call me today, or you can start your own search using my user-friendly property search feature. Check it out HERE. You can search by price, property type, or by map!